Imagine falling asleep under a pure silk duvet. A pure silk duvet is naturally hypoallergenic, moulds to the contours of your body and regulates your heat through it's unique layering of silk floss. Our silk duvets are not just filled with silk but also cased in silk charmeuse to ensure they are the best products on the market. Why case a duvet in cotton a known breeding ground for dust and bed mites? A cotton case doesn't have the ability of silk to natural follow over your body contours? 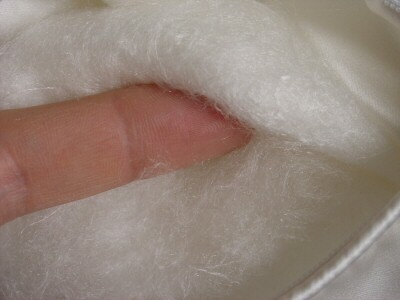 Why add extra weight - silk is lighter than cotton ? more than 200 silk layers. Each layer is carefully stretched and placed by hand to provide easier airflow. Silk also has a natural ability to help regulate temperature. Because of this body heat is retained during the winter and released during the warmer months. 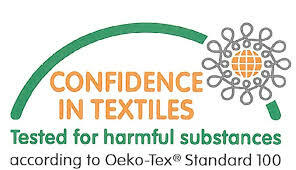 Manufactured in China, our silk duvets are made in a factory that has been awarded the OEKO-TEX Standard 100 certification. This ensures that our duvets are made from natural products that do not contain any harmful chemicals or substances. Experience a Silk Duvet now. There has never been a better time to buy. The best quality silk is cultivated Mulberry silk. When silk worms are fed on mulberry leaves they produce the best quality silk which is naturally pure white, round, strong, smooth and produces long fibres necessary for the best silk duvets. Tussah silk is wild silk that has not been fed on mulberry leafs and is naturally brown and coarse. Because, it is brown, manufacturers tend to bleach the silk to try and make it look nice, hence a strong smell and the fibres will not be long. We only use Mulberry silk in all our bedding. We offer 3 weights of duvet, a summer weight which is ideal for those warm summer evenings, an autumn weight which is our most popular and for most people is the year round answer but also a winter weight which is a summer weight and an autumn weight duvet which can be combined together. Our summer weight duvets are 2-4.5tog and our autumn weight duvets are 6-9 tog. Getting the correct weight for a duvet is very subjective and changes from person to person, but a silk duvet really helps in getting the correct temperature for your sleep as the layers of silk help to regulate the airflow and heat to your body. CAN I COMBINE A SUMMER WEIGHT DUVET TO AN AUTUMN WEIGHT DUVET? Yes, if you wish to be really toasty in the winter you can combine a summer weight duvet with an autumn weight duvet so that you get a combination winter weight duvet. This will be eqiuvalent to an 11 tog duvet. To combine, you simply use the button and loop system on the duvets to button the duvets together. Buttons and loops are located around the edge of the duvet at each corner and midway between each button on the sides and top and bottom. HOW DO I CLEAN A SILK DUVET? A premium hand-made silk duvet is made by layering silk across a frame in a criss-cross pattern and then attaching to the case with threads. The best way to clean a silk duvet is to let it air in the sun for a coupe of hours. As silk will wick away moisture from a duvet and hence keep it dry and free from mites, it needs an occasional natural airing. We also recognise that a duvet can get stained. That is one reason why we chose silk as a case as it inhibits more stain resistance than cotton which naturally absorbs the stain and will then look dirty, whereas silk cases will stay cleaner for longer and maintain their beautiful sheen. If you do need to clean our duvets we do NOT recommend washing but rather localised cleaning with warm soapy water which should remove most marks.  We are sure you will be delighted with your purchase, however if you are not entirely satisfied, provided the goods are returned unused in the original condition and within 14 calendar days of receiving the goods, we will give you an exchange or refund.